A few days ago, we published the first part of the lesson “How to use an open file in chess?” by IM Boroljub Zlatanovic. If you missed it, you can watch it now here. Today, we have published the second part of the video lesson. This time, Boroljub will explain the advantage of having an open file and how to use it effectively with an illustrative example – a game played between Evgeny Sveshnikov and Yuri Balashov. There might be some instances where you will have to choose between two files to open it. Indeed, having the right open file is important, too. Additionally, this game also shows the importance of the organization of your pieces during an attack and the Rook Shift (transferring rook from one file to another). How to dominate that open file? Boroljub Zlatanovic is a Serbian International Master and professional chess trainer. He became a FIDE Master, and in 1995 was Youth Champion of Serbia and a member of the national youth team. He was a two-time champion of the University of Belgrade and won 10 Serbian Open Chess Tournaments. P.S. Did you enjoy these two lessons of IM Boroljub Zlatanovic on “Open Files”? Did you learn something new? Please, write your thoughts in the comments below. 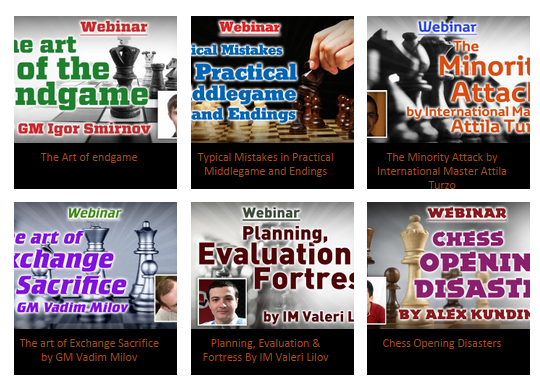 Get the FREE mini-course “Chess Training Plan for Rapid Improvement“! 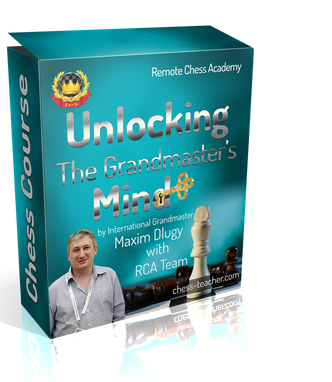 The three-part video series will change the way you train for chess Each part contains only a few minutes of video; hence, you’ll finalise it in one go! Get the course now HERE. How to use an open file in chess? Basically, an open file is one with no pawns of either colour on it. And a file with pawns of only one colour (either White or Black) is called as a half-open file. Most chess players know that a common strategic objective for a rook or queen on an open file is to reach its seventh or eighth rank. Controlling the seventh rank is generally worth at least a pawn, as most of the opponent’s pawns will usually reside there. But the question is: how to obtain an open file OR how to use it effectively? That’s why IM Boroljub Zlatanovic has prepared a video lesson for you. He will teach you with an illustrative example – a game played between Rudlof Maric and Tigran Petrosian in the year 1970. How to hold an open file? What is the best piece(s) to occupy an open file? P.S. Have you ever implemented this strategy (open file) in your games? Feel free to write in the comments below and discuss. Please take part in a survey designed to help us create a chess course tailored to your needs and that can give you the best results. As an extra thanks for participating in this survey, you will get the premium video “How to Beat Super Strong GMs in Blitz” by GM Dlugy. It costs $15 in our shop, but you’ll get it absolutely FREE! Take part in the survey HERE. In the previous article, we published the first part of the lesson “The power of the bishop pair in chess”. In that lesson, you would have learnt about how to realise the advantage of the bishop pair, transfer your material advantage into a positional advantage and lots more. If you missed it, you can find it here. Today, IM Boroljub Zlatanovic has prepared the second part of the video lesson for you. This time, it’s with a remarkable game played by Vsevdod Rauzer in the Soviet Union in 1936. We already know that the bishop pair is a very powerful weapon. In this second part, you will understand the ‘real power’ of the bishop pair – two bishops in the centre of the board, controlling a large number of squares and building the foundation for a huge advantage. How to avoid the exchange of your bishop for your opponent’s knight? How to use your bishop pair effectively to paralyse your opponent’s pieces? How to block your opponent’s pieces? P.S. Did you enjoy these lessons from IM Boroljub Zlatanovic? What are your impressions of them? Please write in the comments below and let us know what you think. 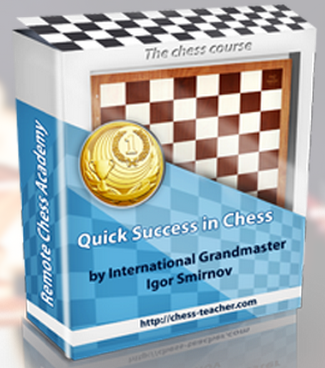 Learn the most essential rules for quick success in chess. Learn about proper time management while playing a game of chess and get a crystal-clear structure for all your chess knowledge. Get “Think, Plan and Win” now by clicking HERE. The bishop, by itself, is a powerful piece. However, its value is more than doubled when another bishop is added to it. When two bishops are sweeping the board, nothing is safe from their malevolent eyes. The bishop pair is a very powerful weapon, since two bishops working together can control many squares from a distance, creating possibilities for tactics and multiple attacks. It’s no wonder that chess coaches usually teach their students to keep their bishop (or not to exchange it for their opponent’s knight). So how POWERFUL is a pair of bishops? To answer this question, our guest coach IM Boroljub Zlatanovic has prepared a video lesson for you. He will teach you about the bishop pair advantage with an illustrative example – a game played by Mikhail Botvinnik in which he showed his amazing tactical and strategic skills. What kind of positions favour the bishop pair? How to realize the advantage of the bishop pair? How to transfer your material advantage into a positional advantage? P.S. I hope you enjoyed yet another instructive lesson from our guest coach Boroljub Zlatanovic. Have you ever won a game through the advantage gained by the bishop pair? If so, please write in the comments below. Learn about the “Bishop and Company”, key strategic elements of chess, how bishops influence the flow of the game and lots more with “Grandmaster’s Positional Understanding”. Get the course now by clicking HERE.